Syria War! Gas attack on the Syrian Arab Republic left at least one child in Eastern Ghouta. 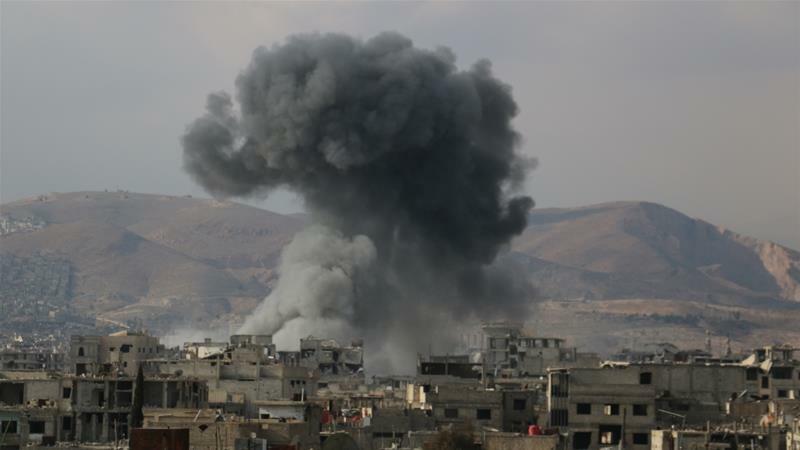 In the rebel-held enclave of Eastern Ghouta's health officials are accusing government forces of Syria of using chlorine gas in their aerial bombardment campaign in the Damascus suburb. On Sunday, Syria's Civil Defense, which is also known as the White Helmets, said on their official Twitter account that at least one child died as a result of suffocation. Syrian opposition's interim government, symptoms of cases were “consistent with exposure to toxic chlorine gas”, the Syrian opposition's interim government said. According to the opposition’s health ministry, several people were admitted to the Al-Shifaniyah’s medical facilities. Symptoms include “dyspnea, intensive irritation of the mucus membrane, irritation of the eyes and dizziness”. The statement further states that at least 18 people were treated with oxygen nebulizing sessions. According to the White Helmets, many women and children were experiencing difficulty breathing. The gas attack news come after President Bashar al-Assad's forces fight against opposition groups from multiple fronts, in an attempt to penetrate into the besieged enclave.